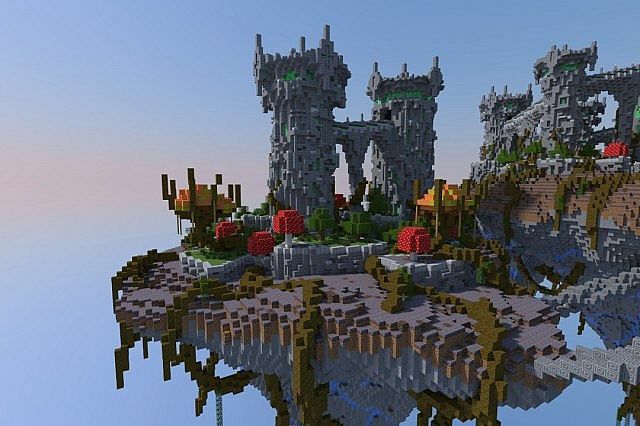 A collection of 6 floating islands, host to a vast network of archways, towers, tunnels and caverns. 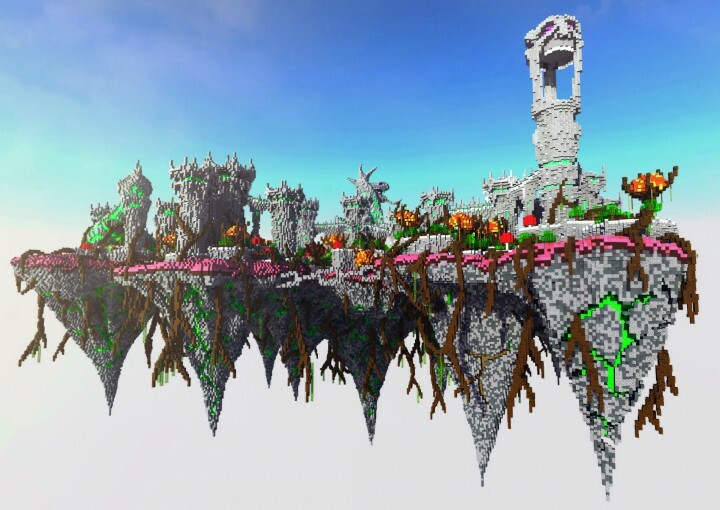 Built as the manifestation of a deranged nightmare, the map's organic style is unique yet visually impressive. 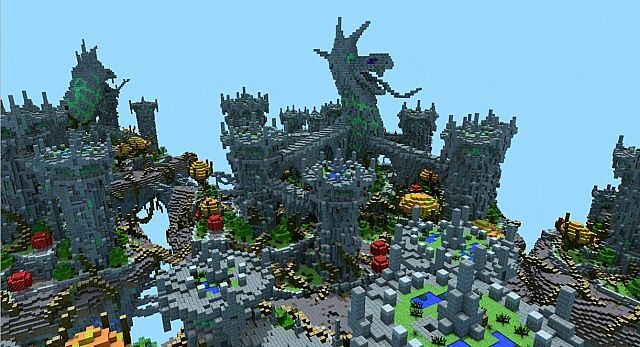 The huge size of the map as well as the extensive pathways and tunnel networks make it perfect for Survival Games, and you can play it now on the Multicube server network. 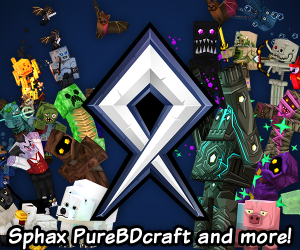 We hope you enjoy this project, please support us by subscribing and giving us a diamond - we have many more projects to come! 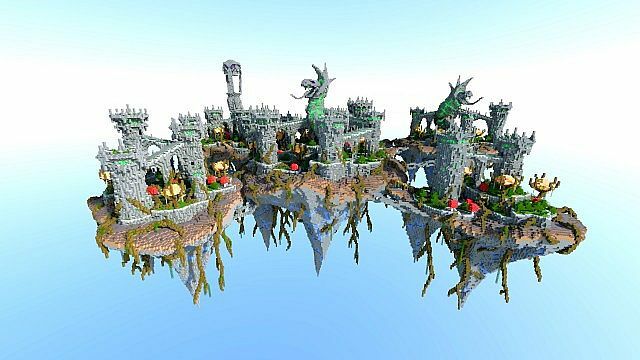 Head to our new online store, http://www.schematicstore.com/ for high quality builds, perfect for your server. Wowser! Alot of your buildings are like illusions! 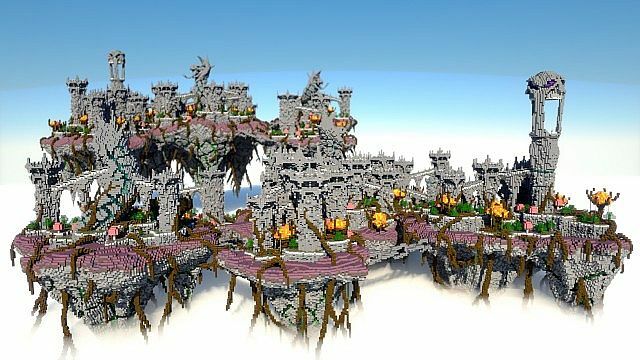 great build for hunger games! 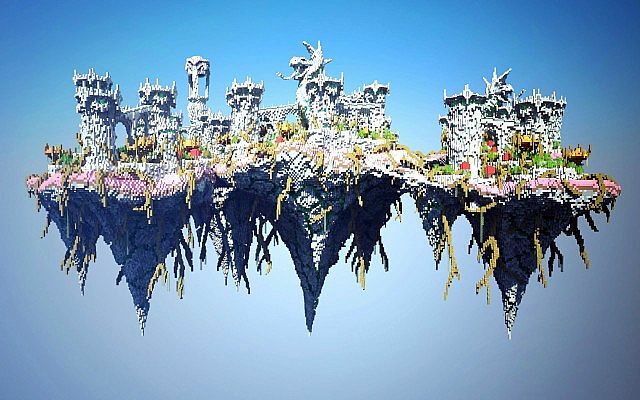 Diamond, sub and fav from me, I love this, I have a floating island world coming soon, Hope you dont mind me using for inspiration? Yeah, that's what thought too. Nicely built even though it's not. 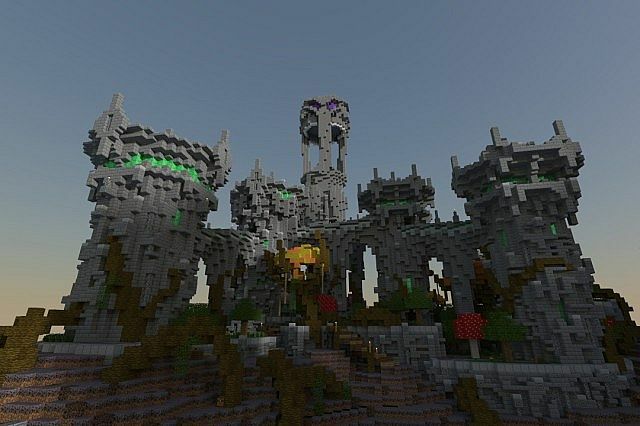 You guys are really skilled at this stuff ^-^. Nice job. I love the colors in the first pic, and the project too ! Neato! It's interesting seeing how much you've all changed over time. Isn't it just! Certainly a very different style from what people would expect our projects to have these days.